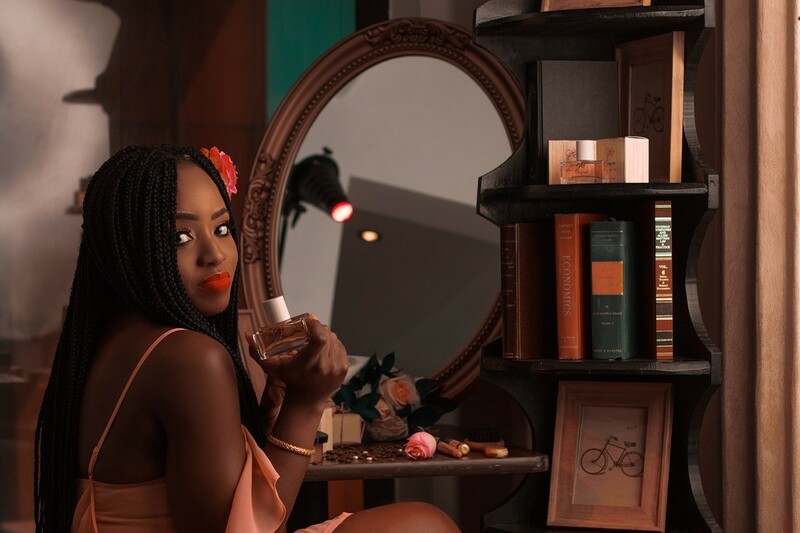 Geraldine Iheme, a lawyer and an ex- Big Brother Africa housemate has joined the league of Nigerians who own their own signature perfume line with the launch of Osayona by Geraldine’s Bayou. An author who was once nominated for Best Fiction Writer category at the Nigerian Writers Award, Geraldine named the perfume line after her daughter, Osayona, which means God’s gift/creation is perfect. After her time in the Big Brother Africa house tagged Big Brother Revolution, Geraldine who was once listed as one of the 100 most influential writers in Nigeria, went back to school and bagged a Masters in Oil and Gas/Energy Law and Policy (LLM) from the University of Dundee. While there, she also spent time researching on how to make quality scents for women, a scent that will make women feel elegant, exquisite, confident and beautiful. That journey gave birth to a fragrance brand for women, Osayona, the go-to fragrance for the modern, elegant woman, who expresses femininity. The perfume has a composition of warm notes such as sandalwood and tonic bean, tender notes of bergamot, natural herbages, and a sweet harmony of oriental ambergris, lottos blossom and so many more mysterious notes that will keep your nose excited the whole day!